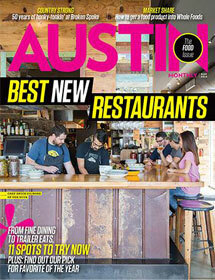 Austin Monthly has come a long way from its days as a pamphlet distributed across Texas’ quirkiest city. 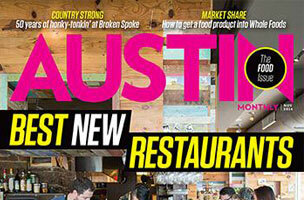 Now a grown-up glossy, the magazine covers everything Austin with the breadth you’d expect from a general-interest regional magazine. That range extends to its features, where freelancers can feel equally at home pitching service-oriented listicles and deeply reported, issues-oriented pieces. Whatever you choose to pitch, editor-in-chief Erin Quinn-Kong wants you to make your news hook clear. Feature articles typically hover around the 2,250 to 2,500-word mark, and a great service piece will always get you noticed. Think “Best New Bars in the City” or the magazine’s annual “Fun Things to Do in the Summer” article. “Those are the list-y service pieces, and people just go nuts for those,” says Quinn-Kong. The features well also includes a “good-read” article that’s centered on a hot topic in the city (e.g. “The Face of AIDS in Austin”). It can also be a personal or business profile, such as a recent look into the National Domestic Violence Hotline, which is headquartered in Austin.